A fun, challenging and scenic 30-miler that rewards you with impressive views of the Cascade Mountains. 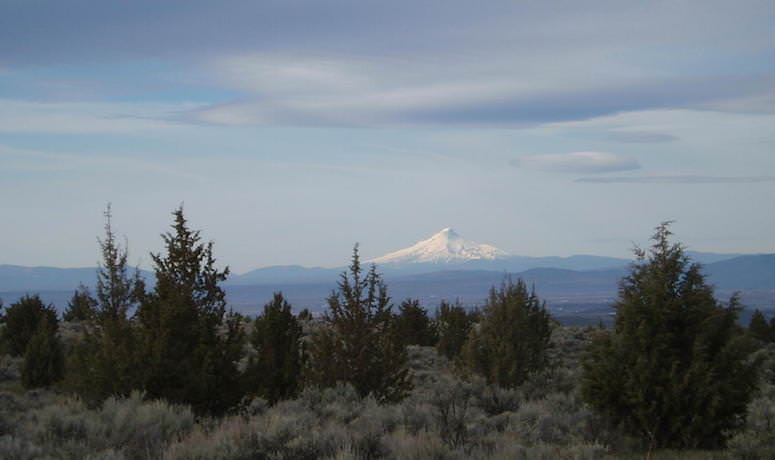 Madras is a lesser-known destination in Central Oregon, but that status is changing as people discover this scenic natural hub nestled in a valley that offers multiple great riding routes, on the road and off. On this varying-surface, 30-mile loop you’ll experience some pavement, plenty of hard-packed dirt topped with light cinder, and lots of gravel. Start counterclockwise to catch fabulous views on the downhill ride back into Madras. Heading out of town, the road will change from pavement to dirt and gravel, rising and falling in an attention-getting roller-coaster for five miles. You’ll pass the namesake Hay Creek Ranch, established back in 1873. 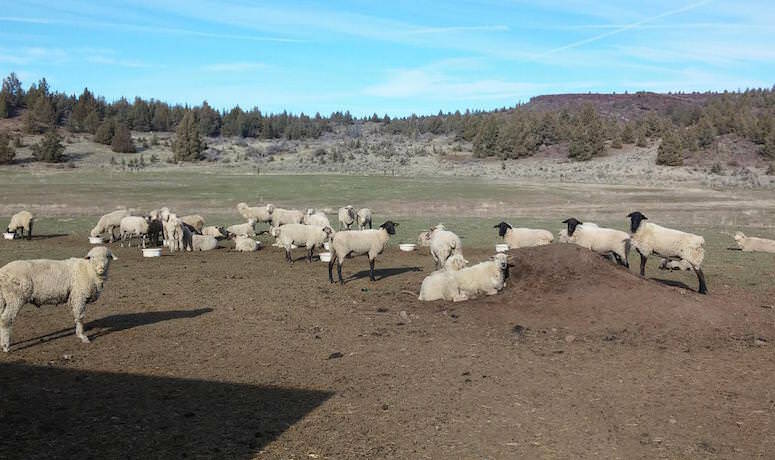 Its claim to fame is the “Baldwin sheep,” which was crossbred on the ranch and named after the first owner. The Baldwin breed became world-famous for the animals’ size, as well as the quality and amount of meat and wool. In 1927, at least 10,000 Baldwin sheep were sold and taken across the ocean to Russia. You might see sheep today as you cruise past the ranch – especially in winter and early spring, the lambing season, when they tend to stay close in. At this point you’re truly getting away from it all – there are no towns anywhere along (or, really, near) this loop. So enjoy the appealing quiet, the high-desert tang of juniper trees, and the expansive feeling of being outdoors in this lightly populated part of the state. As you approach Little Willow Creek Reservoir (note: the road is not well-maintained here), keep your eyes sharp to spy waterfowl of all types. Around the right turn at mile 15, the road can be muddy and difficult, or rutted but passable when dry. If you prefer to avoid this three-mile stretch of challenging surface, go straight up Hay Creek Road instead of taking the turn; doing so will add four miles to the route. 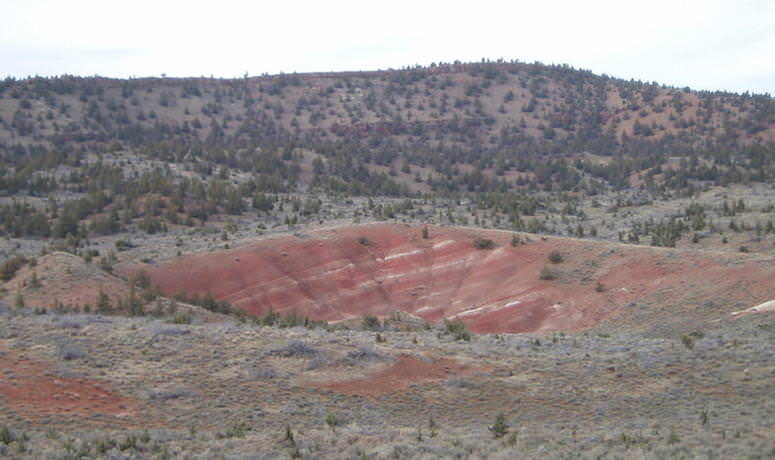 Continuing, make sure to take in a bare, bright hillside on the right that will remind you of the colorful Painted Hills (about 40 miles to the east), displaying the dazzling, earthy brilliance of geologic history. 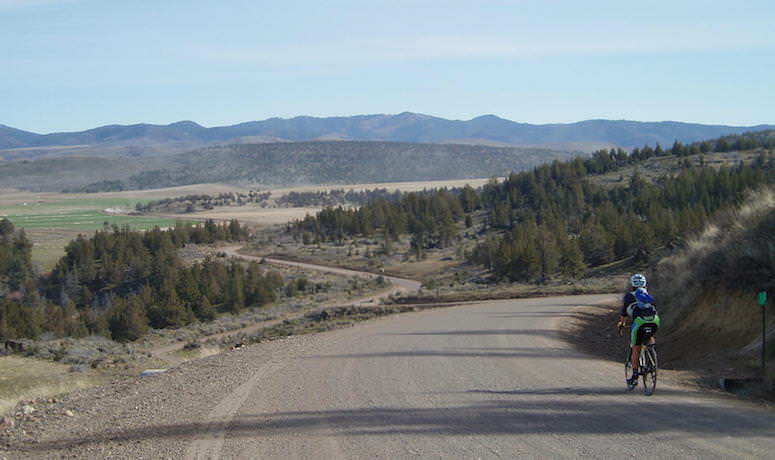 As the road improves and you begin to climb, you’ll spy Grizzly and Grey buttes on the left. 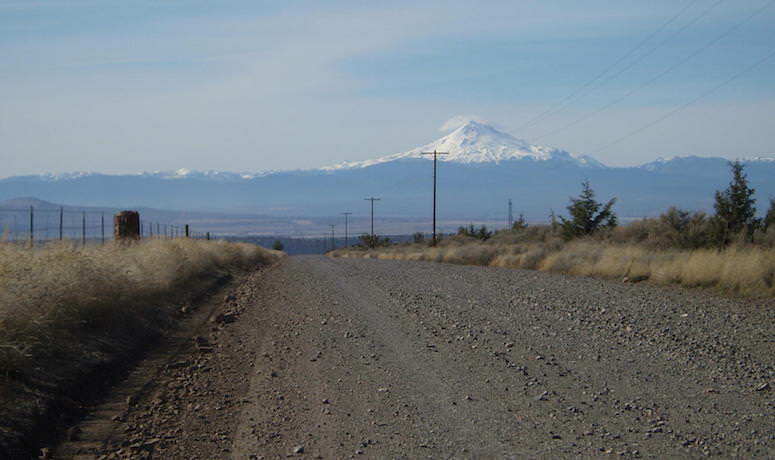 After a final grind to a summit, revel in the descent into Madras – here’s the payoff for all your work: a final show with spectacular views of Three Sisters, Mount Jefferson and Mount Hood; also watch for Bachelor Butte, Mount Washington and Three-Fingered Jack. Eventually the route returns to pavement, and you’re drawn from your open-country state of mind back into civilization – but here civilization is not a sprawling metropolis; it’s a small community where you can find some great Mexican food and friendly locals. Note that some unmaintained stretches can be rutted and muddy after a rain. The Oregon Bicycle Ride started in 1987 as Oregon’s first major road tour, and the organization has evolved to become BRNW, a nonprofit that offers two week-long, fully supported tours each summer – one in Oregon and one in a neighboring state (Washington, Idaho, California or Montana), with different routes each year. Our focus is on providing riders an absolutely optimal experience, with an amazing crew, a mellow vibe, an intimate size of up to 300 riders… and legendary rest stops. We showcase the best riding and the friendliest communities in the Northwest.